Everest Moving, the name says it all, one of the most convenient and eco-friendly moving company that lets you move your house or office in a simple way, without destroying the environment. The company holds specialization in supplying eco-friendly packing boxes and other necessary material to make your move easy and enjoyable. The company deals in both residential and commercial moving, keeping in mind all the needs and requirements of the customers. All the movers of the company are trained and professional in the art of moving, and they all know how to handle all your goods well. They will carry all the belongings with utmost care and respect keeping in mind that nothing gets broken during the relocation process. 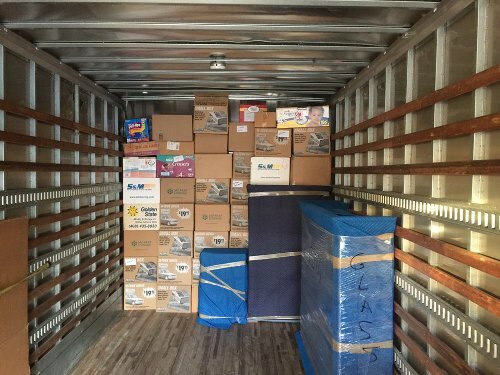 The company is determined in making your move a great experience for you and for that they will pick up, move and deliver all your items on time and at the right place without damaging the environment. They will turn up at the right place and at right time, as per the date and time decided by you according to your convenience. All the reviews and unique eco-friendly methodology of the company has made it a popular one among all the other moving companies. Everest Moving was established in 2016. In this competitive field, the main goals are to stay personable, efficient and win the trust of the client during a stressful time of moving. David M. is the Manager of Everest Moving. He has 10 years of experience in packing and moving. He is caring to the customers and treats the move as his own. He is at every job to make sure it goes smoothly and efficiently.